mer. This Land Lager is a celebration of Brewmaster Eric Marshall’s time in Germany over the course of time and the passion he developed for perfectly executed lagers while studying and apprenticing. The resulting Helles lager connects the European tradition to Oklahoma history celebrating Woody Guthrie and his lasting contribution to Americana and championing of the working class. This Land Lager offers all who drink beer an option of simplicity and precision. 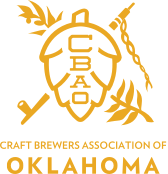 2018 will see This Land Lager become widely available across Oklahoma. Marshall Turns Ten! 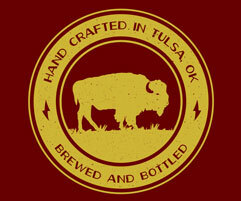 In May of 2008, Marshall Brewing first offered our beers for sale to the public at a festival celebrating American Craft Beer Week in front of McNellie’s in downtown Tulsa. Mathematicians will note, that in May of 2018 we will eclipse a decade of brewing and selling beer. The milestone, while making us feel a bit old, would not have been possible without you, the craft beer lovers. While ten years is indeed a long time, it doesn’t take much to remember early conversations where concerned friends and family would inquire “You’re doing what?” Indeed, much of the ten years that Marshall Brewing has been in business have been uphill, but make no mistake the journey has been entirely worth it! Look for news of our official celebration and a barrel aged commemorative beer to be announced later. Package Refresh As our tenth anniversary approaches, we are excited to announce a series of changes planned for Marshall Brewing. Firstly, we will refresh our packaging for our core brands in early 2018. The packaging refresh has been carefully designed to be respectful of our original hand illustrations created by local artists, while brightening the package. Look for new packaging to be on shelves in Arkansas and Oklahoma by late January.